- The trick for traveling with young kids is to plan, plan, plan. The first thing, if it's possible, is to travel in the morning. All kids are happier in the morning. You don't wanna set yourself up for failure by traveling in the afternoon, when you know your kids are gonna be cranky. 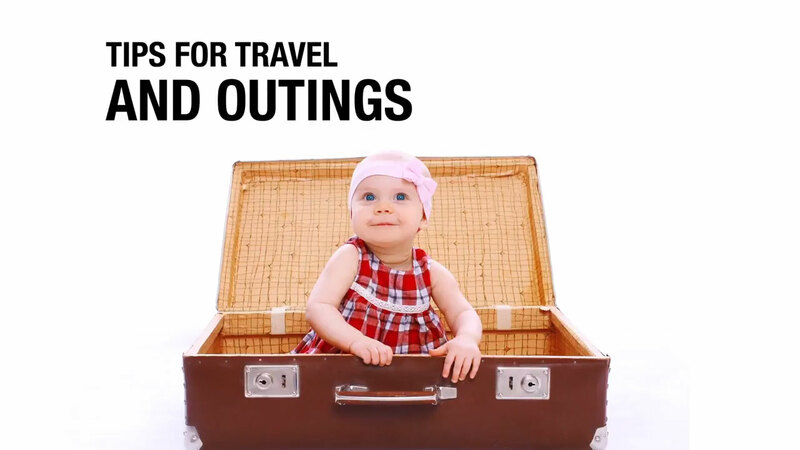 For infants, a sling is a great tool for traveling.- If you have kids in the baby years like zero to three, you wanna map out every 20 minutes of your flight, and really have an activity, because kids have very little attention spans at that age, and they wanna move from activity to activity to activity. So, the more you can map out different things, whether it's drawing, or invisible ink pads, or whatever it is, really having that time.- Another good trick I was taught was to wrap small toys in tissue paper, so that your kids can have a lot of fun opening the toys, and playing with them, as well as individually packed snacks. You cannot rely on an airline or an airport to feed your kids, and you have to expect delays. Since sleep is absolutely king in our house, it might sound crazy, but we travel with black trash bags, blue painter's tape, and a white noise machine to create an amazing sleep environment for our kids, so that they're in a dark room without any interruptions, and then we're happy travelers.